Do you run an educational institute? And want to share details about your educational institute or promote the services, that your institution provides. With an impact of E-learning taking over the educational platform. The website is a source to give message and information in a much easy and powerful means. Many College & Universities presently use an online platform to provide more than just educational materials. A website is the showcases of your institute, which is useful, practical as well as leave an impression on the people who visit them. All templates we have collected features a particular design and layouts different on its personal. Based on HTML5 and Bootstrap framework and coding, the templates are besides very simple to customize and suit your choice. You can get quality based on an expert and helpful customer support. 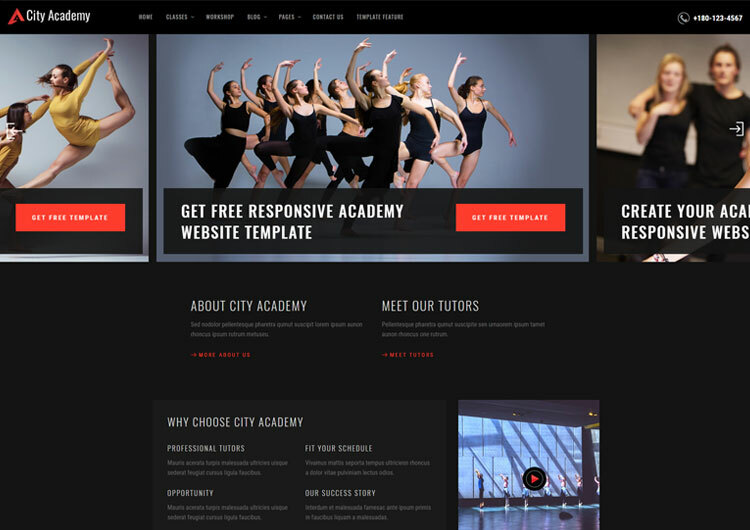 These website templates that, will leave a lasting impression on any potential leads of your education institute! Here the best education website templates support you to create a professional education site easily. The latest website templates, on HTML5 and CSS3 which provides you a lot of user-friendly features. Full-screen slider, sticky header, hover effects and an additional search option for courses. The layout is flexible, which gives it readjust to every screen. That means it 100% responsive. Extra amazing features, of Course, testimonials slider, and newsletter subscription box. Footer section also decorate with widgets and bottom bar with social media icons. We have made a perfect listing of the best education website templates just for you!